Once you’ve met your driving instructor training requirements and passed all three stages of the approved driving instructor test, you’ll be free to advertise your driving school business or apply for driving instructor jobs with local and national firms. However, that doesn’t mean the testing period is over! In order to maintain your ADI registration with the Road Safety Authority (RSA), you will need to undertake annual check testing, which demonstrates that you still have the knowledge, skill, and ability to train learner drivers and help to keep Ireland’s road safe. The format of the check test is simple. You’ll be required to give a normal driving lesson to one of your existing or former students while being observed by an examiner. The check test is very similar to stage 3 of the ADI examination which checks your instructional ability, except it’s not quite as in depth and you will be working with your own students rather than ‘role playing’. The examiner simply wants to see that you’re able to carry out safe and educational driving lessons in accordance with the latest guidelines published by the RSA. Do I Need a Check Test? Check tests need to be undertaken on an annual basis, or as advised by the RSA. The RSA will inform you in writing when you are due for a check test. If you hold an ADI certification for two categories of vehicle - A and B for example - you will only be required to take one check test, and the RSA will inform you of the category. In most cases they will aim to provide you with at least 28 days notice which provides enough time for you to make any necessary preparations, such as contacting a driving instructor training school for a quick refresher course if required. When prompted, call the RSA to arrange a check test - you will be given a choice of time, date, and test centre for your convenience. You’ll need to bring a few things along with you to ensure the the test can be carried out. 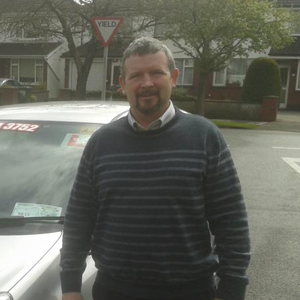 Firstly, you’ll need to bring the vehicle that you currently offer driving lessons in. This vehicle should be equipped for learner drivers - with dual controls if required, and clear and prominent learner plates. The vehicle should also be fully taxed, and your ADI registration should be displayed in the interior. You’ll also be required to bring along a current or former student. The student can be at any driving level, but must hold a valid learner permit or full driving licence for the category of vehicle. Although on-the-job training should provide you with good experience, it is recommended that you work with a driving instructor training school to undertake a quick refresher course to ensure you’re ready for the check test. It is especially important to work with a driving instructor training school if there have been changes in the RSA guidelines since your last test, if you have previously failed a check test, or if you are feeling out of practice or have not offered lessons for some time but still wish to remain on the approved driving instructor register. Refresher courses can be very beneficial. How Much Does a Check Test Cost? Great news - the cost of a check test is completely free! However, if you pass your test and wish to remain on the RSA’s ADI register, you will need to pay a €250 registration renewal fee every 2 years. What Result do I Need to Pass? You will be quite familiar with the scoring system for the check test as it’s similar to that used in stage 3 of the ADI examination. The examiner will be checking that you can adequately demonstrate a number of competencies as a driving instructor. These competencies are divided into two categories - ‘core competencies’ and ‘non-core competencies’. In order to pass the annual check test, you will be required to demonstrate all 16 core competencies during the driving lesson, along with a minimum of 5 of the non-core competencies to satisfy the examiner. At the end of the test, you should finish up the driving lesson with your student as you normally would. The student will then be asked to exit the vehicle and you will be informed if you have passed or failed the check test. If you have passed, your ADI registration will be renewed upon expiry assuming the registration renewal fee has been paid. If you failed the test, you will be provided with feedback regarding your performance and asked to re-book the test. 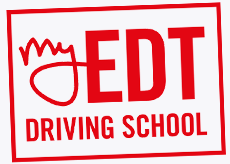 Retakes are usually taken within 4 weeks of the original date and it is recommended that you work with a driving instructor training school in this time to hone your instructional skills and ensure you’re well prepared. Will I Pass the Check Test? Back in 2010, the average pass rate for the check test in Ireland was just 64 percent, which may not fill you with confidence, but don’t worry. The pass rate has been gradually increasing, and is currently around 69 percent on average - not that much less than the average pass rate for the theory part of the ADI test. The RSA has acknowledged that pass rates aren’t as good as they should be, and have cited better feedback from check test examiners and a more thorough understanding of the ADI processes for the improvement in test scores over the past few years.